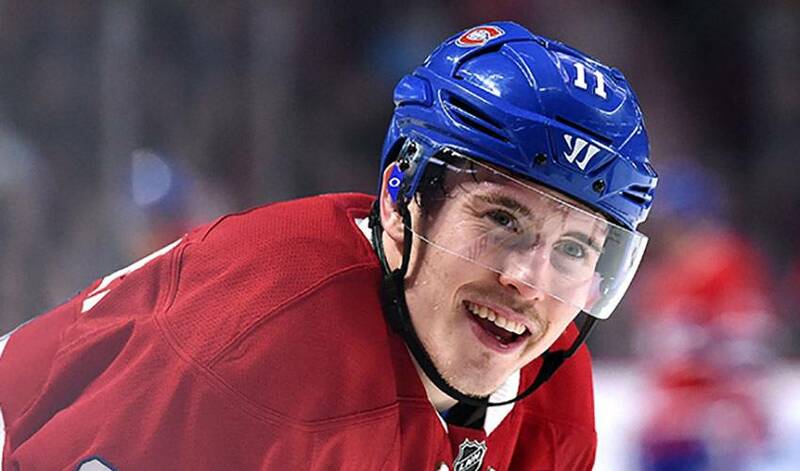 Brendan Gallagher has found the perfect balance for the NHL off-season: training, tee shots, tracking fly balls and time with family. On this day, the Montreal Canadiens right-winger has just finished a morning training session and is off to an afternoon hockey reunion. He’ll call it a day after spending time with family. A former standout with the Vancouver Giants – he played four seasons (2008-2012) with the Western Hockey League – Gallagher had the opportunity to help the organization celebrate a special anniversary. Gallagher will also get the chance to work on his golf game throughout the summer. He’s eager to shave some stroke off his game before training camp begins. When he’s not on the links, you’ll find the 147th overall pick of the Habs in 2010 on the diamond, chasing down line drives and driving in runs. As for where he’s more proficient, in the field or at the plate, Gallagher says it depends on the day. That would make his mom, Della, very proud, considering her sports background. Which Gallagher is the biggest hit on the diamond? While there’s no doubt fun and games are on tap over the summer, the alternate captain acknowledged he still thinks about Montreal’s first-round playoff exit at the hands of Original Six rival, the New York Rangers. It’s those thoughts that help motivate the 25-year-old during training. “Usually, I take a few days to think about it (how the season ended),” said Gallagher. “I go over the series and things you could have done better or changed. You just try to move on and prepare for what’s ahead. I don’t think you ever let it go. Every season, you remember that last game and the feeling that you had. I don’t think you lose it. But, I think you have to try to look ahead and realize where you want to be. Which is why Brendan Gallagher is happy to get into the swing of things well before the NHL season gets started.